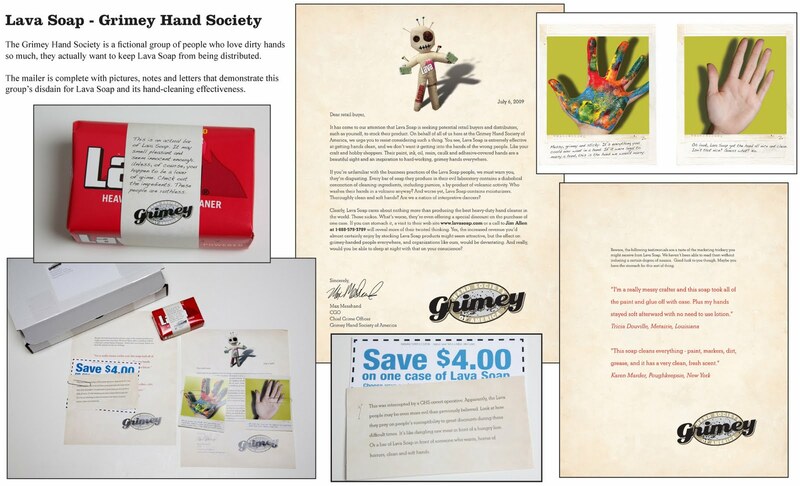 The Grimey hand Society is a fictional group of people who love dirty hands so much, they actually want to keep Lava Soap from being distributed. The mailer is complete with pictures, notes and letters that demostrate this group’s distain for Lava Soap and its hand cleaning effectiveness. ~ by BRANDED Solutions on September 9, 2009.